Chong Ai Ling is a member of the Association of Certified Chartered Accountants and the Malaysian Institute of Accountants. She gained her Advanced Diploma in Commerce (Financial Accounting) in 2003 at Tunku Abdul Rahman College. 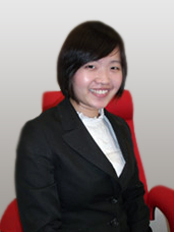 She joined Peter Chong & Co. as an Audit Assistant in 2004 and was promoted to Audit Senior in year 2006. She has 5 years of working experiences in the audit of various companies (including those quoted on the Bursa Malaysia Securities Berhad) with activities ranging from manufacturing, trading to investment holding. In year 2008, she joined Keyline Avenue Sdn. Bhd., an associate company of Peter Chong & Co, as an Accounts Manager, providing technical assistance and financial advice to our clients, the majority of which are subsidiaries of multinationals based in the United States of America, Singapore etc. She is also in charge of the overall administration and management of the Company. Professional Financial Consulting is important for a company.